Even though General Motors banned all racing activities in 1963 and wasn’t officially endorsing performance car market, this company introduced some of the best and most memorable classic muscle cars ever made. In fact, GM even made the first proper muscle car, back in 1949, almost by chance. 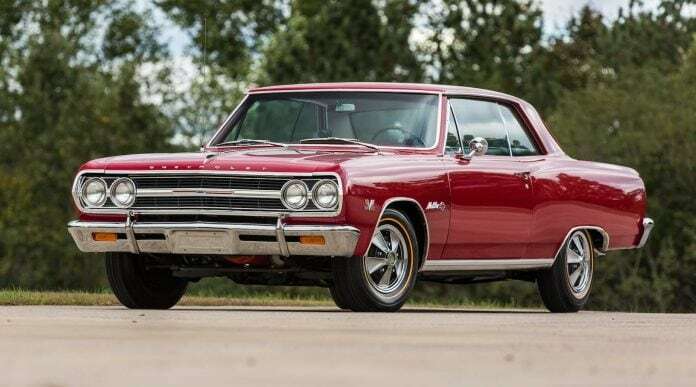 That is why we compiled the list of best classic GM muscle cars and remembering some of the most interesting models from Buick, Chevrolet, Oldsmobile and especially Pontiac. For the 1949 model year, Oldsmobile presented two very important things – 88 model series and a brand new 303 CID V8 engine called Rocket V8, both of which will prove very influential in Oldsmobile`s history. The 88 model was relatively light and compact, and Rocket V8 was considered a hot engine with a two-barrel carburetor and 135 HP on tap. The combination of light body and powerful engine in the form of 1949 Oldsmobile 88 was arguably the first muscle car from Detroit. The `49 Olds 88 enjoyed quite a success, not only with the customers but on the race track too. It won 6 of 9 NASCAR races that year and proved competitive on the drag strip too. The car was the theme of one of the first rock and roll songs ever made, called “Rocket 88” by Kings of Rhythm. All of this makes this car extremely influential, not only in automotive history but in the history of rock as well.